You know those slices of life when everything seems to be going really well? Nobody in my immediate family has cancer. Everybody’s employed. There’s a deep joy over the most ordinary meetings and errands. The AC works. There is money in the checking account to get the oil changed. This is what I’m encountering this week. The coffee tastes richer. The sun on my face feels particularly life-giving. There is deep hope in spite of the realities of profane injustice in the world. I see God in the faces of church people who are taking leaps of faith that they wouldn’t have taken three years ago. I see God in respectful disagreements between people of faith. I see God in the faces of a young couple in love who are discerning what kind of future they might have together. It’s a good time – in spite of the fact that suffering is rampant in this world. God uses these times of calm to prepare for future experiences that will require resilience and grit. Those times are surely coming. But today is tranquil and full of gratitude. Thanks be to God. 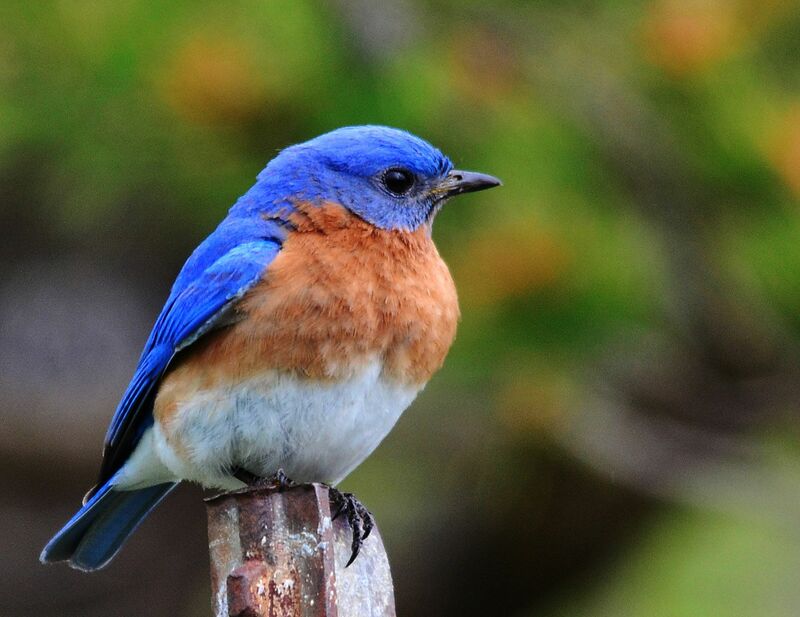 Image of an Eastern Bluebird. I literally saw one last week while visiting one of our exceptional pastors.